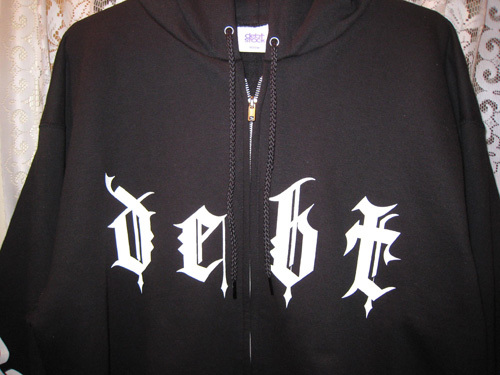 we’ve had this design for a couple years but we never got it produced. we finally got it sampled and it came out really hot. 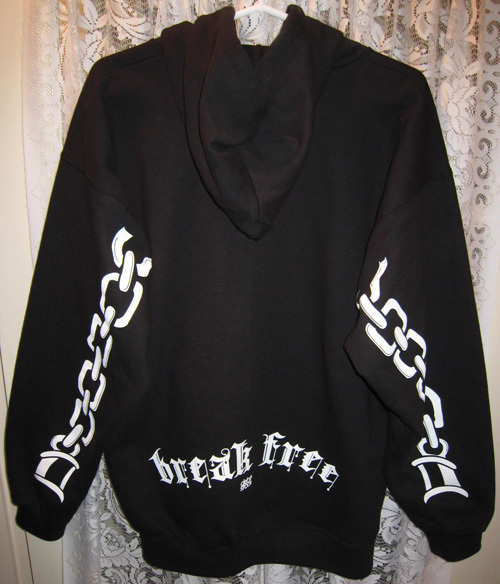 got the front “debt” print, both sleeves have chain prints, and the bottom back has the “break free” print. here is the original computer mock up of the design. 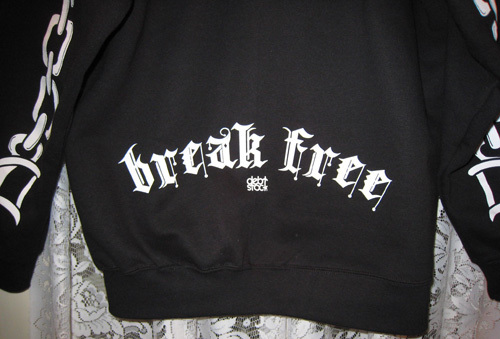 please email us to place your pre-order on the hoodie. picked up the woven labels yesterday and they look great. each size will have its own color. small=yellow, medium=purple, large=red, xlarge=green, xxlarge=blue. 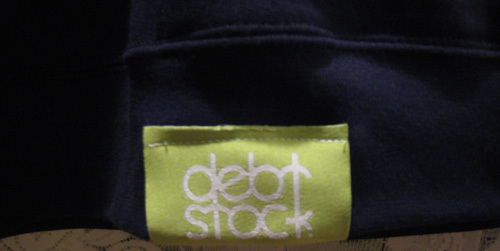 the top box is the back of the bottom hem label which is like a lime-yellow green. 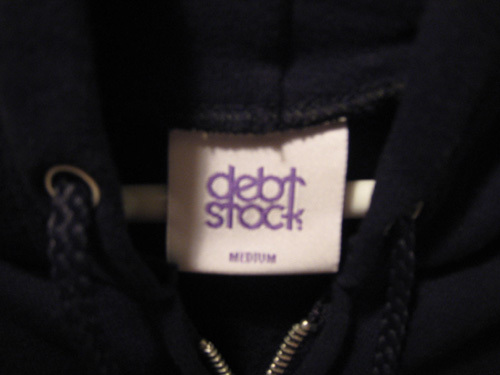 i got the debtstock woven label samples in the other day and they looking real nice. 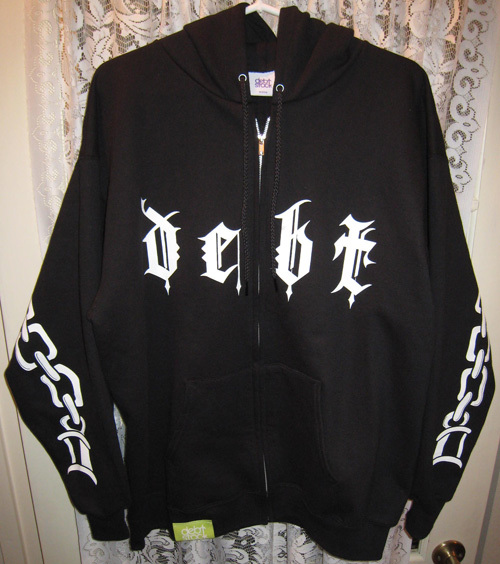 the first few runs we had a simple black label attached on the bottom hem, similar to diamond supply co. or foreign fam, with a white debtstock logo. we also went with the tagless screen printed size and wash label. 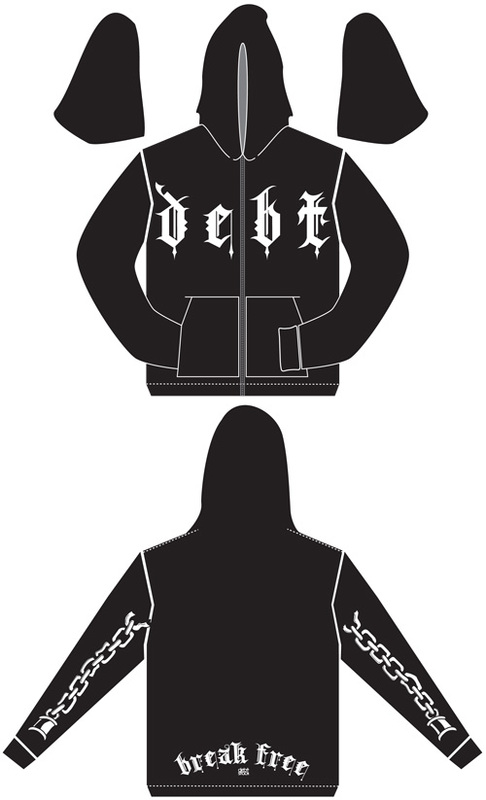 for 2009, we are going to do full woven label package. 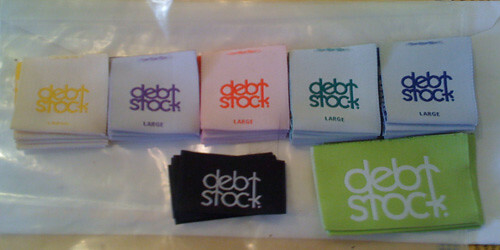 sized woven labels for the inner neck and new labels for the bottom hem. 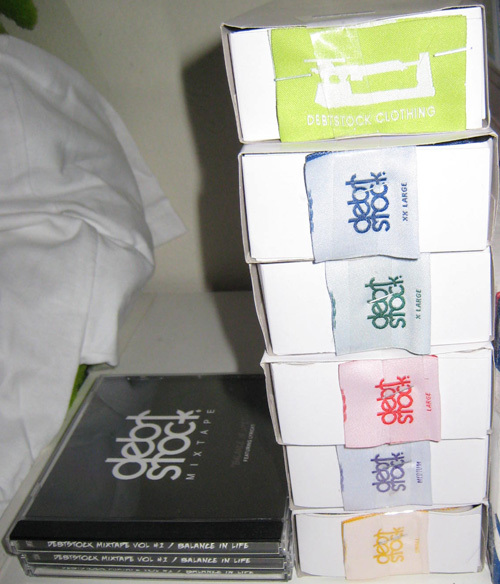 i like the way the sized labels turned out but i might have to adjust the bottom hem label.